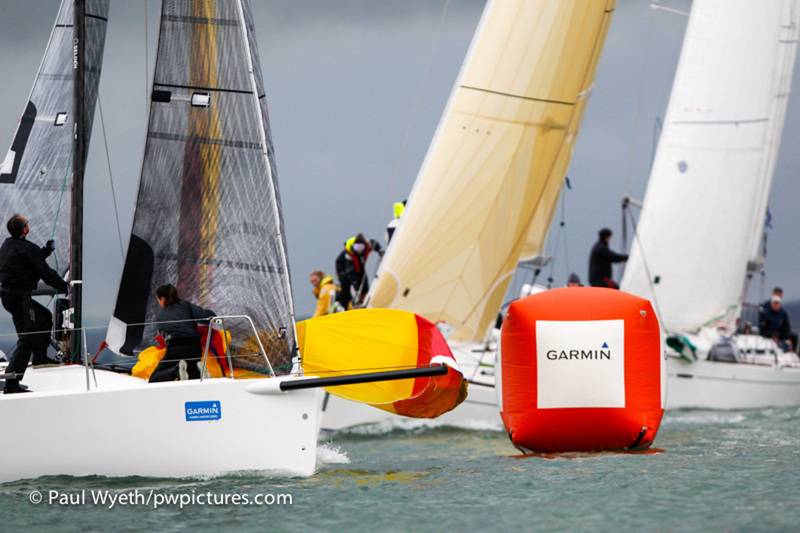 Winter finally made an appearance in the Garmin Hamble Winter Series on the penultimate race day of 2014. Up to this point we've had unseasonal warmth, but the weather gods made up for this with a cold, gusty and unbelievably wet day on the water. The rain began at around midnight, and competitors awoke to it hammering on their windows. It didn't let up all day! Nonetheless, the race team braved the conditions to get a race in for all classes, and some close, tactical racing ensued. The northerly breeze might have brought in the cold temperatures, but it also provided some handy windshifts as boats closed the mainland shore. At this, the penultimate race in the series, competition is hotting up throughout the fleet as boats battle for podium places. Martin Dent's JElvis leads IRC0 with a race to go, five points clear of fellow J/111, Chris Body's Icarus. Chasing hard to make a full J/111 podium is Louise Makin's Journeymaker II, two points behind in third overall, but they didn't race on Sunday, with third place going to Paul Aisher's Tangent Minus One. 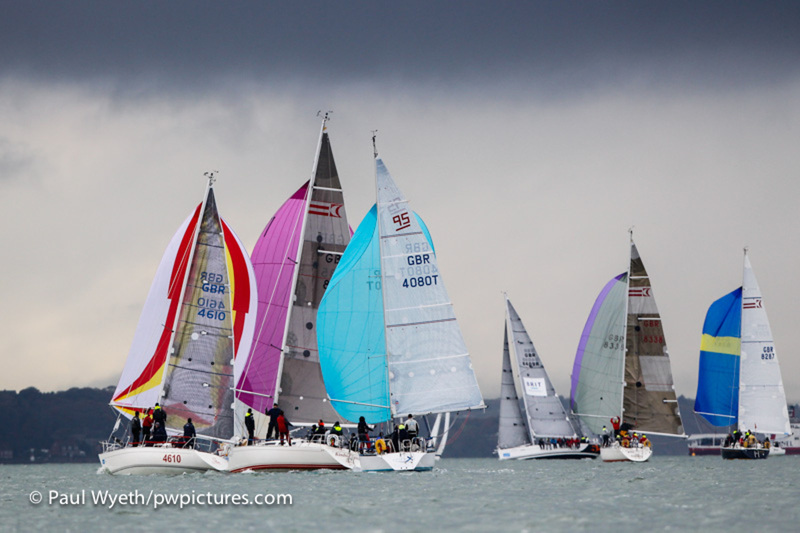 Similarly in IRC 1, Bernard Olesinski's Xinska is well clear at the top of the class, but a needle match remains between Tim Octon's Corby 35 Doyle Sails and Stuart Wilkie's Puma, who are currently a point apart in their battle for second place. 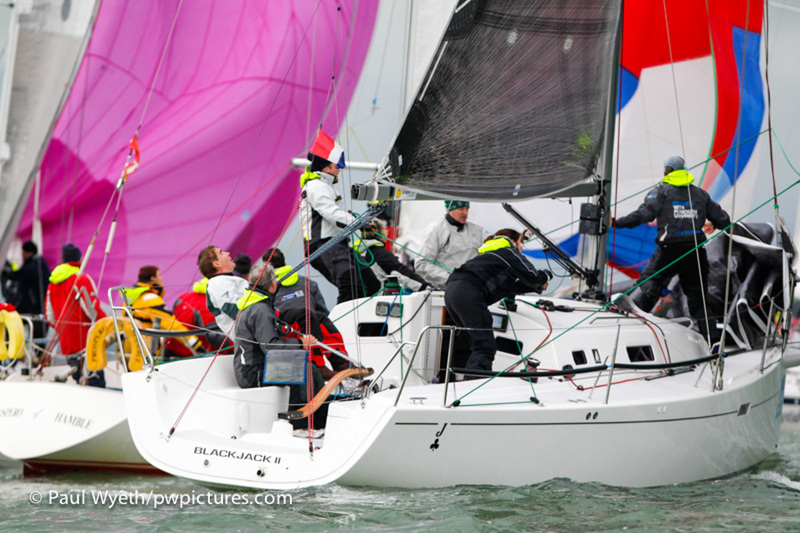 But neither of them made the podium on Sunday – instead it was Tim Thubron's Tarka II that came second this week, with Nick Rawbone's Playing Around in third. 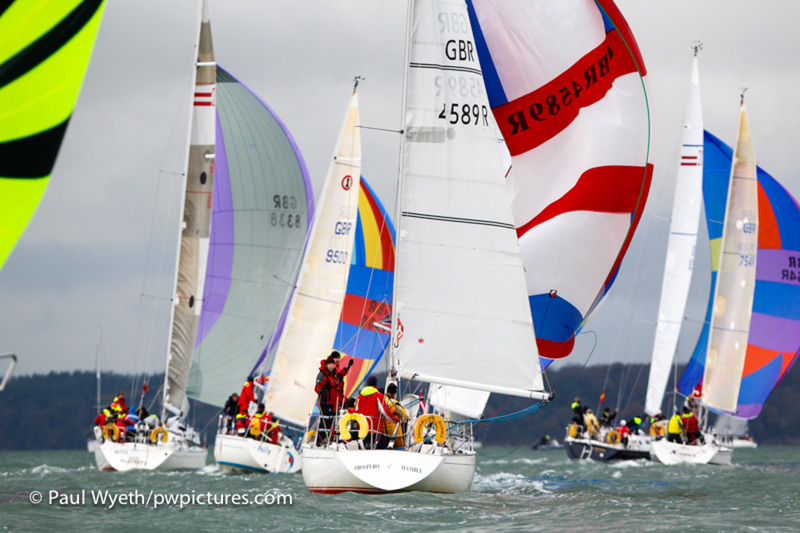 In IRC 2, Richard Searle's Pincer Movement leads the class by four points after a fourth place on Sunday, but the real battle in this class is between second-placed Hot Rats and Malice, currently third, who had some extremely close racing on Sunday to take second and first on the day respectively. They sit only a point apart going into the final race, and next week will no doubt be close. IRC 3 sees Charles Ivill's ETB Tyres Just Like That atop the results with a three-point lead over fellow J/97 Blackjack II in second. But this week it was Steve Bromley's Aneet Djinn that took second place on the water, with Blackjack finishing third. The J/109s were won by Roger Phillips' Designstar 2, which puts them only a point behind the leading boat, Adrian Wheal's Jolly Jack Tar. Third-placed Jynnan Tonnyx is only a point behind second place, so the top three positions are all to play for next week, which should provide an exciting end to the series. In the Sigma 38s, Nigel Goodhew's Persephone continued her impressive dominance, adding another bullet to their near-perfect score. 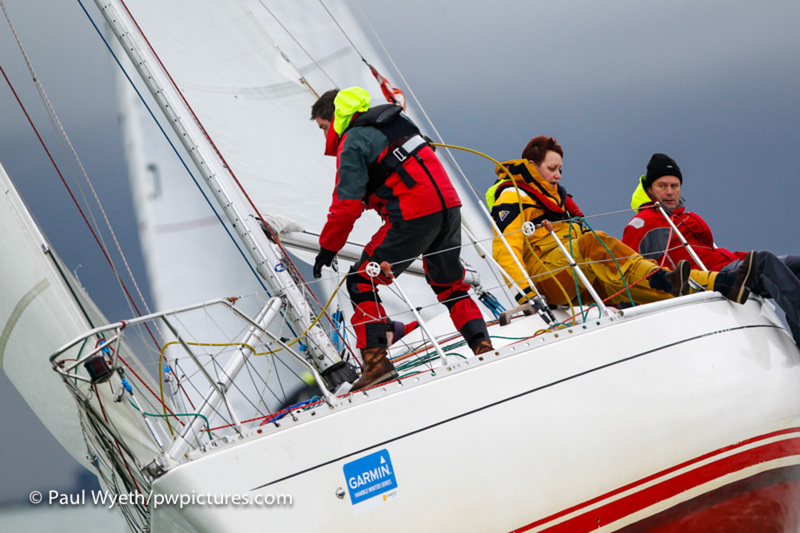 They also had the Garmin-provided VIRB action camera on board, and the footage can be seen below. Second and third place mirror the overall results, with Chris and Vanessa Choules' With Alacrity in second, five points clear of John and Susan Rainger in Light. 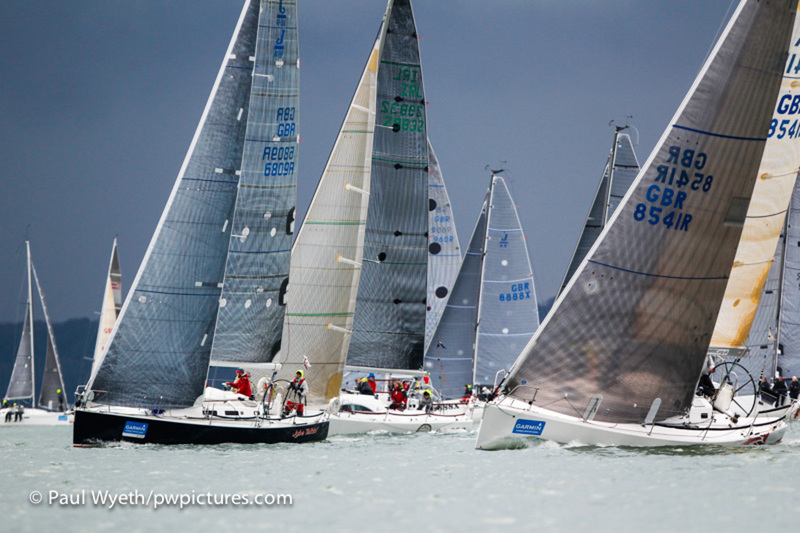 In IRC 4, Toby Gorman's Stan the Boat got clear of the fleet to beat second-placed Crakajax by nearly two minutes. Jim Webb's Flashheart came in third, again mirroring the overall results. 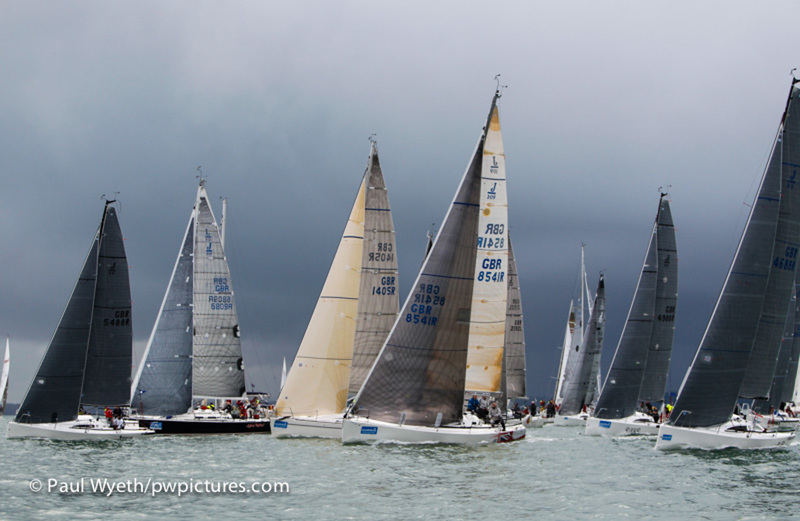 The Impala fleet, racing in IRC 4, was won by Polly, with Two Frank in second and Imptish in third place. After such a wet day on the water, competitors dripped their way to the HRSC clubhouse to enjoy hot food and well-earned refreshements. Prizes were presented by Athena Rossi from Force 4, the day sponsors of the event. 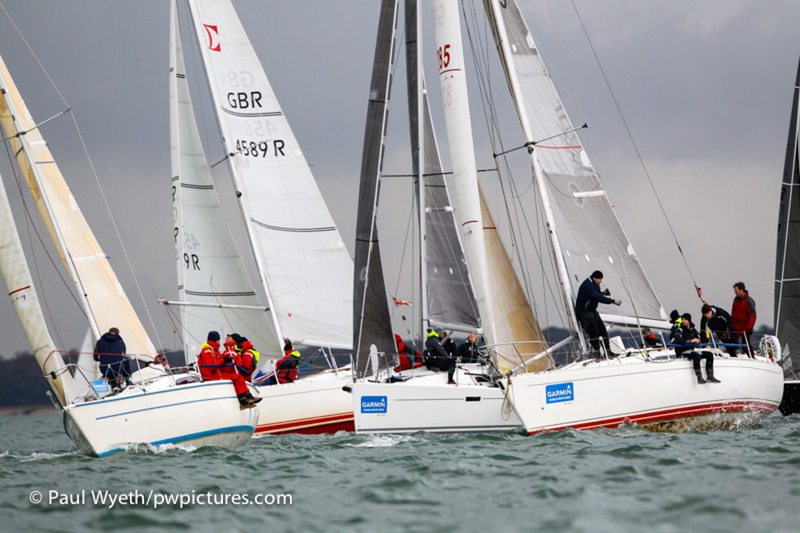 One week remains of the 2014 Garmin Hamble Winter Series. Let's hope that winter holds off for another week!